The 2016 Human development index (HDI) report has been published. It is a list of 188 countries in ranked order, listed according to a set of criteria used to determine the quality of life in each country. It comes out at a time of large scale political instability with nationalistic speeches focusing on making countries great again heard around the globe. But what exactly makes a nation great? The leaders of different countries may give entirely different answers largely based on the current political climate. But the HDI seeks to put every country on the same scale. What makes a country score highly on the Index? Though the equations to calculate the final values are less simple to explain, the underlying concept of the calculations and the values they represent are easier. 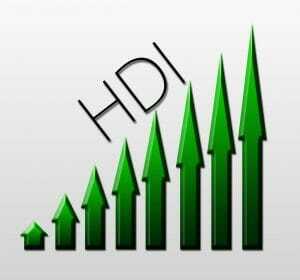 The HDI values are split into three categories: a long and healthy life, knowledge, and a decent standard of living. Defined as “the number of years a new-born infant could expect to live if prevailing patterns of age-specific mortality rates at the time of birth were to stay the same throughout the child’s life”. This value is largely representative of the quality of healthcare within a country. Those countries with a high quality healthcare infrastructure will likely have higher life expectancies. As this value is an average, it is also representative of access to healthcare. Should a country rely largely on privatised healthcare which excludes a large proportion of the population due to high costs, this will be reflected in the average life expectancy as untreated disease amongst the poor will reduce life expectancy. The calculation itself uses the average life expectancy of the country in comparison to two fixed values. The minimum life expectancy is set at a benchmark of 20. The rationale behind this value is based on prior historical studies that state that should the life expectancy of a population fall below 20, the established age of sexual maturity, it is unlikely that birth rates will be high enough to maintain the population. No currently studied countries are below this line. The maximum value differs in that it is only fixed temporarily. The current value is set to 85, this is used as a point that countries can aspire to achieve, with a number of countries such as Hong Kong (China, SAR) (84.2) and Switzerland (83.1) achieving life expectancies close to this value in the latest survey. The value is therefore revised should countries come close to it, or above it, frequently. This second category is divided into two calculated sections, the first being the mean years of schooling received by adults aged 25 and over; the second the number of years of schooling expected to be received by children of school entrance age. 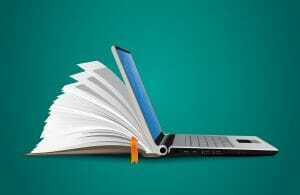 This category presents a chance to compare both educational background of those expected to currently be in the workforce of the country and the projected education levels received by future generations. The values are normalised (calculated in a way in which all three criteria are numerically comparable and set to the same scale) with set values much the same as the calculations for life expectancy, though many countries on the HDI list subscribing to a similar structure of education. The standard structure of primary, secondary and higher education allows for another point of comparison between countries. With an education score of around 14 years, the average citizen will have roughly the equivalent of a US high school education. In the figures from recent years, many scores are in excess of 17 –– the average citizen of a country with a score equal to, or above this is expected to have been educated to a university degree level. These values are an important indicator as they give an idea of what the economy of a country is based around. With very low levels of education the country may be primarily agricultural; moderate levels of education may indicate an industrial based country though largely built upon labour. The shift in many countries from 12-15 years of education to 17-20 years is indicative of that country’s economy shifting from manufacturing to more service based industries or to a more technological economy. , This is seen in many European countries where manufacturing is relocating and the job market more competitive for higher roles. The two fixed values in both expected and current education are 0 years as the minimum — it is possible for a society to continue with no formal education at all. The Index sets 18 years as the maximum — an aspirational goal set out in the 2014 Human Development Report . .
Due to the some nations massively increasing the number of university students in recent years, some countries are exceeding the maximum value of 18. For the purpose of calculation the equation then lists this country as the maximum value possible in that category. It is likely this value will be revised in the coming years to accommodate the trend. A slightly more complex measurement stated as “not an outcome measure reflecting a person’s capability or human development directly. Yet income is an important means and can proxy aspects of living standard that are provided by markets.”. The value is calculated by using the natural logarithm of Gross National Income (GNI) per capita adjusted by Purchasing Power Parity (PPP). Put simply the calculation involves the overall income for the country, divided by the population, and then adjusted based on the the purchasing power of the nation’s currency. This gives a fairly accurate overview of the average value of the income per person, though may not take into account deviations with currencies such as the Euro, which will typically have more purchasing power in eastern Europe compared to the more expensive western European nations. What a country holds as important may be shaped by the history of a country. The USA for example was shaped by its war for independence. The country has been at war for more years during its existence than peace, 222 out of 239 years since 1779 (as of 2015). As a result it prides itself on its vast military budget, the largest in the world, several times that of its nearest competitors. A comparable country in terms of HDI rank is Iceland (0.921 compared to the USA’s 0.920), a country with a military budget of only $17.9 million, only 0.1 percent of its GDP. To compare a vast range of countries it is thus important that the same scale, and these three criteria are used to this end. Each of the three previous values are normalised within a range of zero to one, and each is assigned equal importance to the overall calculation. The geometric mean (the average value of the three previously criteria, themselves being averaged values) is then calculated of the three values which gives the final HDI score.